oktober 2015 | 276 blz. 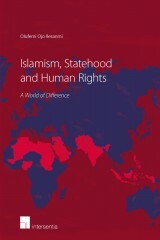 Islamism, Statehood and Human Rights contributes to the ongoing universalist-relativist debate in international relations and law. At the heart of the book is the question of whether religious and political philosophies of contemporary Islamic regimes are compatible with human rights originating from the secular tradition of the West.